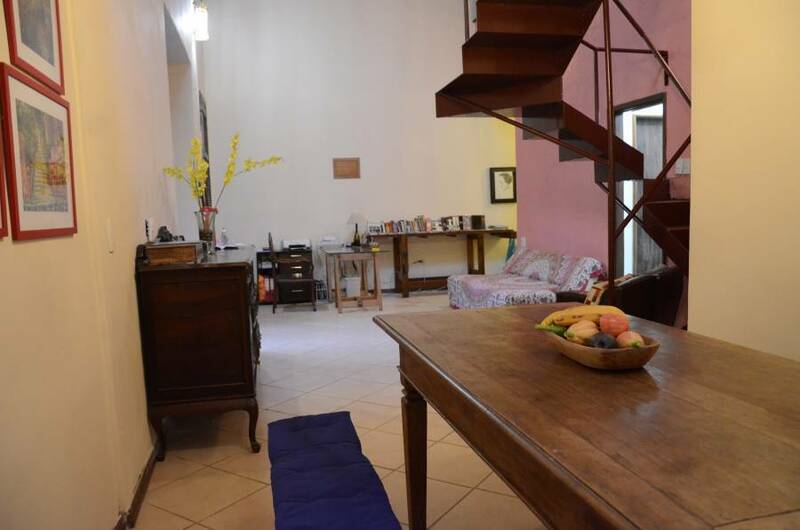 The house is very bright, has a beautiful architecture with a beautiful garden and a bar. 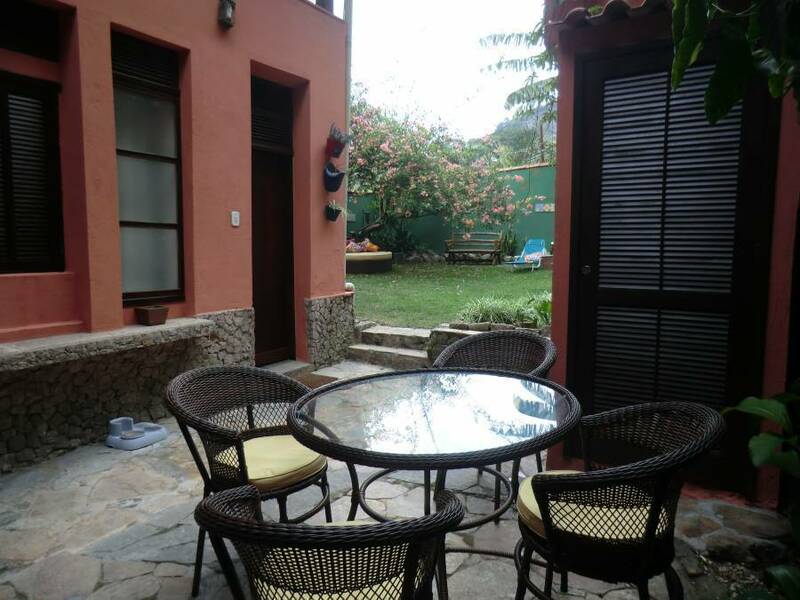 Just a few meters from the city center in a quiet and lovely neighborhood. 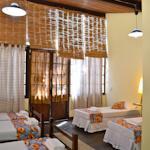 We offers shared and private rooms. Our breakfast is served every day with great care and attention to quality of food. We offer free wi-fi throughout home. We have a very well trained staff and especially loves to receive our guests, we are sure you felt at home. A room for demanding backpackers. 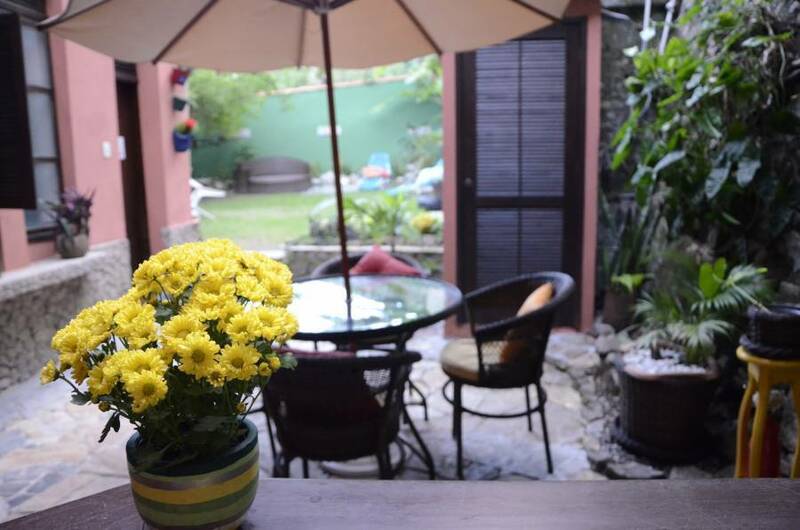 Comfortable room with 5 individual beds, private bathroom, balcony and air conditioning. 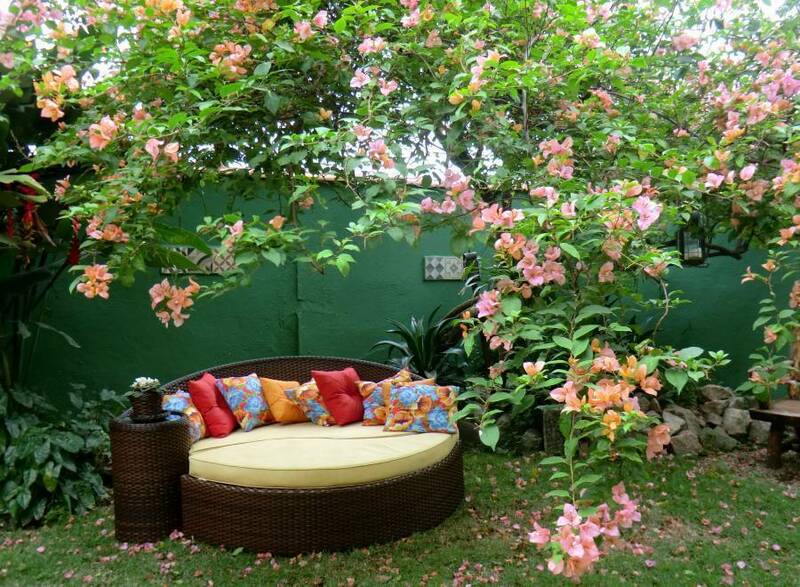 Private room with double bed, fan and private bathroom. The soul carioca is high on the bucolic Santa Teresa, with their tasteful restaurants and views of gawk. Nestled high in the center is Santa Teresa. Houses with Portuguese architecture, art deco and tree-lined streets, the neighborhood is bucolic day and one of the most artistic and bohemian overnight. Santa Teresa is a colorful, musical and full of pubs and restaurants genuinely locals place. The streets are marked by the tracks of the trolley, which no longer works. The weather over there is relaxed, no luxuries but full of carioca soul. From the top, they are 360 degrees of incredible views. The most popular restaurant in Santa Teresa, has I good Feijoada (carioca food). Just 5 min walk from Alma de Santa, good Brasilian food. The best sea food in Rio. 10 percent of the total amount may be charged anytime after booking. Please note, if canceled is 40 percent of the total price of the reservation will be charged. In case of no-show 80 percent of the total price of the reservation will be charged. 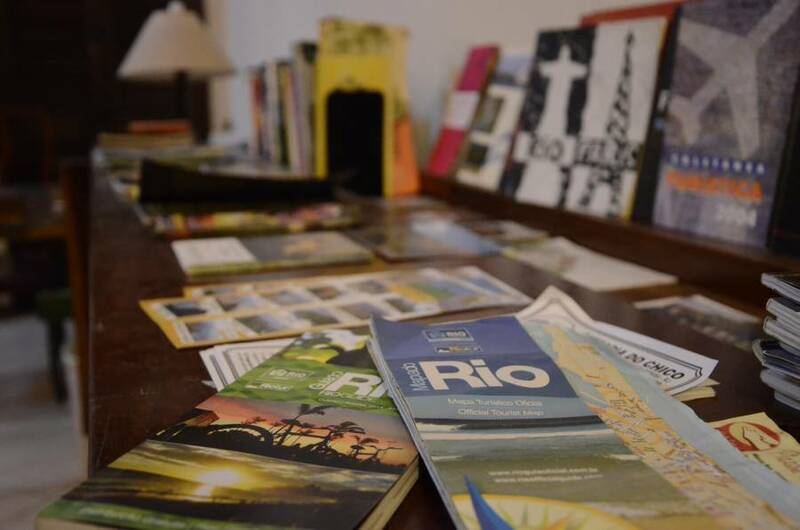 We are located at Rua Andrés Belo, 15, Santa Teresa, Rio de Janeiro. Andrés Belo street is a staircase located on Rua Santa Cristina. Remember that Santa Teresa is a charming neighborhood with many hills and stairs, but there are beautiful buildings to distract the walk. If you come by taxi ask the taxi driver to take Rua Santa Cristina, if going up is to stop the third curve, if down in the first corner, there is a security guardhouse, which is right at the top of the staircase, coming down the staircase, we are located in the middle of the ladder, the house is blue. If you come by subway the station is Gloria, take Rua Benjamin Constant, turn 1st left and after the 1st right, so will already be on Rua Santa Cristina, after the first corner you can see the stairs, up the stairs, we are in the left, in the middle of the stairs, blue house.